wow, makes me want to invest in a telescope now! Great site. Hope it will get people more interested in the Cosmos. Have you read ‘In the Beginning,’ by John Gribbin? That book will want to make anybody get a telescope, or at least, powerful binoculars. We have the sky over Barbados above us, and don’t allow any outside lights. Thanks, all, for the kind words. 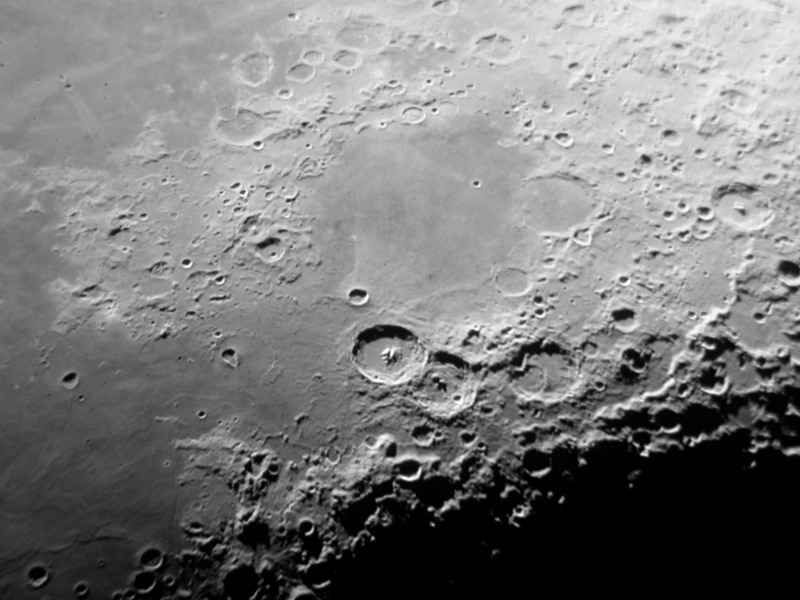 Since I didn’t give any details in the post about how I took the pictures, here you go: I used my old Nikon Coolpix 4500 in macro mode, shooting through a 17mm Yulin Plossl eyepiece (for the moon) and a 13mm Orion Stratus eyepiece and an Orion Shorty 2x Barlow lens (for Saturn), in an Orion SkyQuest XT10 reflecting telescope. See this post for more detailed instructions. Also, if you’re thinking about buying a telescope, bang on! But save yourself some trouble and read this first. Nice pictures of space, our planets and moon. You don’t need a fancy telescope to see stars, instead you can download programs that let you do that for free. This is what I love abt checking out other people’s blogs- you always learn something new! Great pics! I love the night sky. Thanks for these thrilling shots. What a shame that so few of us see the stars any more, so few of us even know their names, or what constellation they belong to. Most of us have lost the pagan touch into the real world. Now, with all our brilliant, cold, man made light,you can only appreciate the true beauty of stars out at sea on a yacht, under sail, or on a high mountain, or desert where nobody lives. Those of us who are blessed to see and know the Universe like this,…. There is no point in ending this sentence, for there are no words to convey absolute majesty. Nice, reminds me of being a child and watching the stars with my brothers and dad. Really? How sad. There is no comparing the experience of actually seeing these things for yourself, versus looking at pictures on a computer. BTW, the “fancy telescope” I used to see these things cost less than the netbook I used to write this post. Yes, really. Thanks, that’s wonderful. I appreciate all of the comments…but that one’s my favorite. wow. 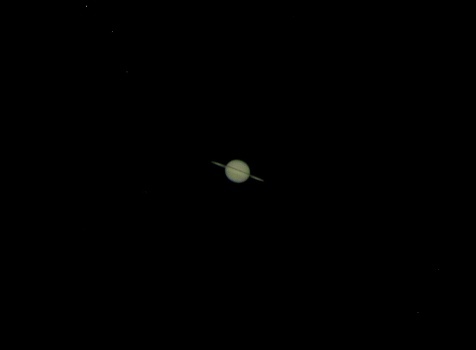 The last time I saw Saturn like that was last summer at the Grand Canyon. There was a star gazer event and people with some high-end scopes were pointing at the sky. That photo looks exactly like what we saw that night. wow, nice pict. I love this very much, moon, sky and everything about that… hmmm interesting!! Thanks for sharing the pictures. Especially telling how you take the pictures. My boyfriend are dying to get a telescope. he’s constantly looking up in the sky. I’ve gotten interested in it to lately. Telescope are on our wish list. But we want a good one, of course, getting something for our money we will spend on it. Awesome photos I need to share with my biostats teacher! He teaches astronomy too! Stunning photos, information and blog! !